Stratford Homes Paxton II | Excelsior Homes West, Inc. If you are looking for a two bedroom, two bathroom cabin, the Stratford Homes Paxton II may be the home for you! 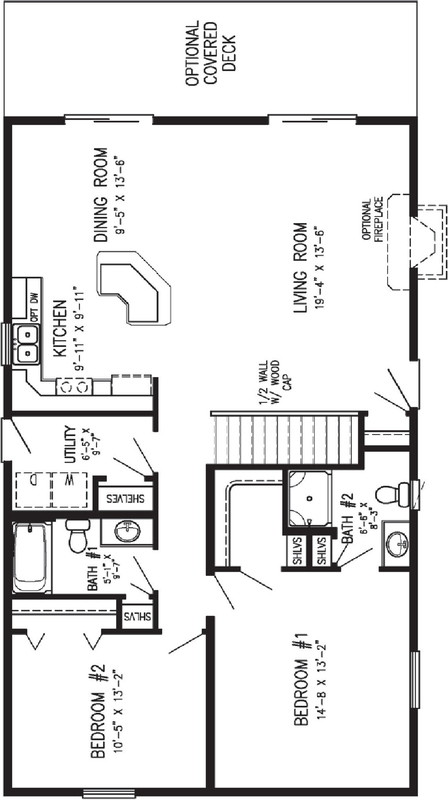 The Stratford Homes Paxton II is a two bedroom, two bathroom home with 1288 square feet of space. This floor plan has a open concept layout including the living room, dining room, and kitchen. The two bedrooms are located just off the main living area. (If you are looking for a similar floor plan, but with three bedrooms–Check out Stratford Homes Birchwood.) This floor plan also features a utility room with washer/dryer hookups and a second back entrance–Perfect for a garage entry. Stop by our location in Hutchinson, MN and tour our home models. We can deliver modular homes throughout Minnesota and surrounding states! The Stratford Homes Paxton II has options and upgrades available to make this home your own! This two bedroom home is the perfect size for any Minnesota lake lot. Choose from different upgrades and materials available to enhance the exterior cabin look. You also have options for interior materials, such as cabinetry, countertops, backsplash, and flooring. You can truly make this home your own! This floor plan has the option of adding a covered deck–Perfect for enjoying your lake view. It also has an optional fireplace located in the living room for those chilly Minnesota nights. 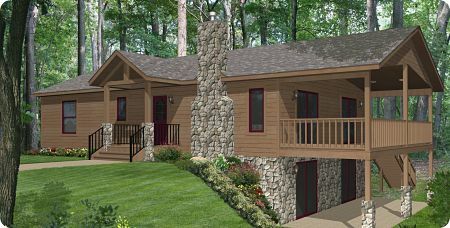 If this lake cabin is what you are looking for, contact Excelsior Homes West, Inc. today! We can help you customize your dream lake home!